An Afghan Army soldier in Kabul, the capital, one of the urban population centers that a shift in strategy is meant to safeguard. The Trump administration is urging American-backed Afghan troops to retreat from sparsely populated areas of the country, officials said, all but ensuring the Taliban will remain in control of vast stretches of the country. The approach is outlined in a previously undisclosed part of the war strategy that President Trump announced last year, according to three officials who described the documents to The New York Times on the condition of anonymity. It is meant to protect military forces from attacks at isolated and vulnerable outposts, and focuses on protecting cities such as Kabul, the capital, and other population centers. The withdrawal resembles strategies embraced by both the Bush and Obama administrations that have started and stuttered over the nearly 17-year war. It will effectively ensure that the Taliban and other insurgent groups will hold on to territory that they have already seized, leaving the government in Kabul to safeguard the capital and cities such as Kandahar, Kunduz, Mazar-i-Sharif and Jalalabad. [post_ads]The retreat to the cities is a searing acknowledgment that the American-installed government in Afghanistan remains unable to lead and protect the country’s sprawling rural population. Over the years, as waves of American and NATO troops have come and left in repeated cycles, the government has slowly retrenched and ceded chunks of territory to the Taliban, cleaving Afghanistan into disparate parts and ensuring a conflict with no end in sight. After the declared end of combat operations in 2014, most American troops withdrew to major population areas in the country, leaving Afghan forces to defend remote outposts. Many of those bases fell in the following months. During a news conference last month in Brussels, Gen. John W. Nicholson Jr., the commander of the American-led coalition in Afghanistan, said remote outposts were being overrun by the Taliban, which was seizing local forces’ vehicles and equipment. “There is a tension there between what is the best tactic militarily and what are the needs of the society,” General Nicholson said. The strategy depends on the Afghan government’s willingness to pull back its own forces. A Defense Department official said some Afghan commanders have resisted the American effort to do so, fearing local populations would feel betrayed. 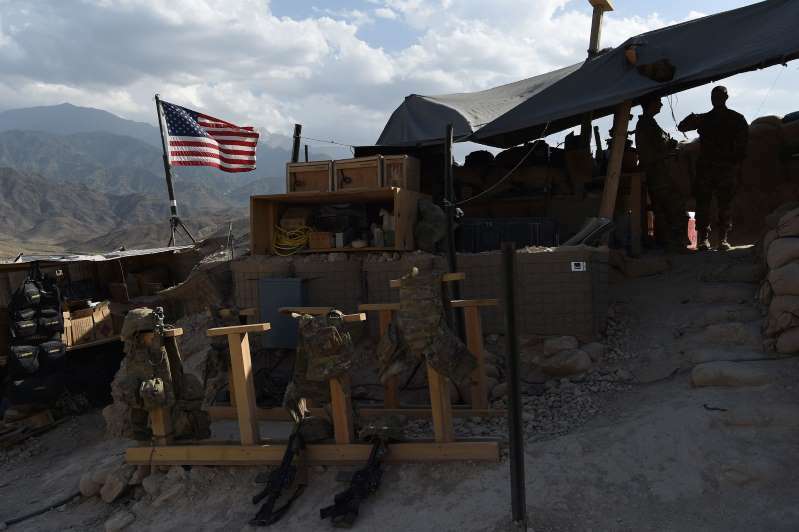 An American outpost in the Afghanistan province of Nangarhar. Just over one-quarter of Afghanistan’s population lives in urban areas, according to C.I.A. estimates; Kabul is the largest city, with more than four million residents. Most Afghans live and farm across vast rural hinterlands. Of Afghanistan’s 407 districts, the government either controls or heavily influences 229 to the Taliban’s 59. The remaining 119 districts are considered contested, according to the Office of the Special Inspector General for Afghanistan Reconstruction. Hamdullah Mohib, the Afghan ambassador to the United States, disputed that American and Afghan forces were leaving rural areas and essentially surrendering them to the Taliban. The intent was not to withdraw, Mr. Mohib said in an email, but to first secure the urban areas to allow security forces to later focus on rural areas. Hundreds of Afghan troops are being killed and wounded nearly every week — many in Taliban attacks on isolated checkpoints. Over the last year alone, the number of Afghan soldiers, police, pilots and other security forces dropped by about 5 percent, or 18,000 fewer people, according to the inspector general’s office. The strategy for retreat borrows heavily from Mr. Obama’s military blueprint in Afghanistan after he began withdrawing troops from front lines in 2014. Under President George W. Bush, and during Mr. Obama’s first term, the Pentagon established a constellation of outposts across Afghanistan, affirming that the American-led military coalition would fight the war in far-flung villages and farmlands. In 2006, the United States Army set up a string of small bases in the Korengal Valley — an effort that was planned in part by General Nicholson, who was a colonel at the time. But by 2009, an Army document outlined a shift from “attacking the enemy in remote areas” to “protecting and developing the major population centers” in eastern Afghanistan. That approach began to take hold months later, in 2010, when American forces withdrew from the Korengal Valley after suffering bloody losses in isolated northeastern outposts. At the same time, however, United States Marines were surging into the rural areas of Helmand Province and the Army was pushing into the Taliban heartland in Kandahar. 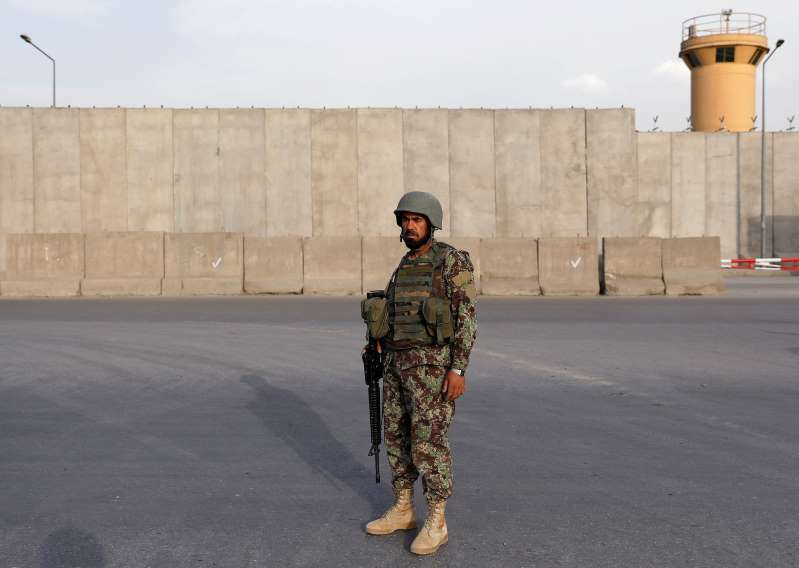 [post_ads]Ghulam Sarwar Haidari, the former deputy police chief of northwestern Badghis Province, said his forces withdrew from the small town of Dara-e-bom after the Afghan National Army abandoned their outposts in past months. “We should lose 100 lives to retake that area,” he said.